Best of Kashmir tour package, as the very name suggests, would take you to some of the best places in Kashmir.Kashmir is the replica of heaven on this Earth and is famous all over the world for its ethereal beauty. Best of Kashmir tour package starts from your arrival at Srinagar, the beautiful valley known for its pristine waters of Dal Lake and Nigeen Lake. 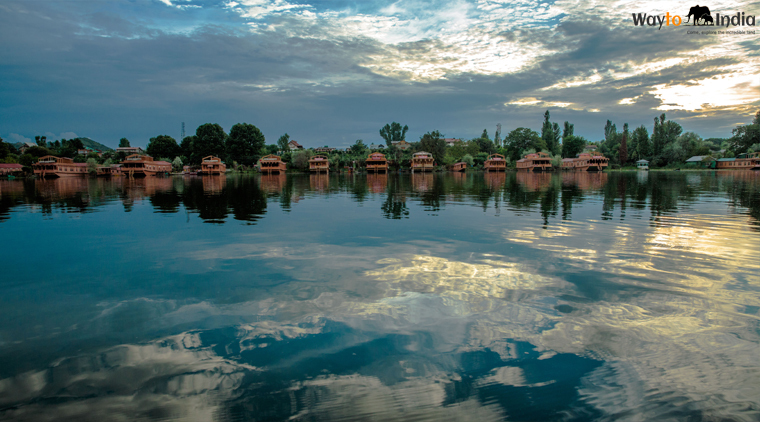 Your Kashmir tour will include a stay at houseboat, which is a memorable experience in itself. Your Best of Kashmir tour package will also include a day trip to Gulmarg, which literally means "a meadow of flowers".Enjoy Kashmir tours to experience the best of nature and man-made attraction. In case you wish to enjoy Gandola ride at Gulmarg, you may book your gangola tickets online on the link Gulmarg Gandola Online Booking. 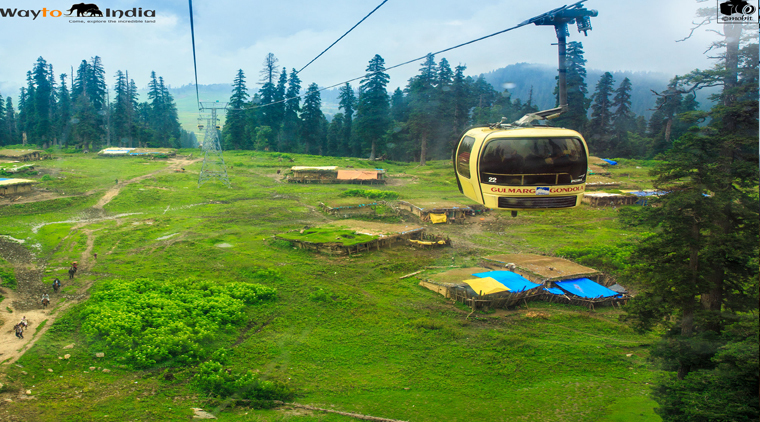 Gandola in Gulmarg has two phases. : First phase : Gulmarg to Kungdoor(Fare Rs 700/-), Second phase is Kungdoor to Aparwath(Fare Rs 900/-. There is also a Chair lift between Kungdori and Mary Shoulder. In case you wish to experience snow at Gulmarg, best time to visit Gulmarg is December to February, when you can experience snow in Gulmarg and can enjoy Skiing in Gulmarg. Your best of Kashmir tour package starts at Srinagar. Arrive at Srinagar Airport where our representative shall assist you and transfer you to Deluxe Houseboat. Rest of the day shall be at leisure where you would enjoy the Kahwa, the traditional tea of valley. After breakfast proceeds for half day tour of world famous Mughal Gardens visiting the Nishat Bagh (The garden of pleasure) and Shalimar Bagh (Adobe of love). Return back to houseboat for hot lunch. In afternoon experience Shikara ride on the Dal Lake to enjoy the beauty that God has graced this city with which is often compared to Venice. After enjoying breakfast, proceed for full day tour of Gulmarg which is one of the most beautiful summer resort in the valley. It is also popular for its golf course in summer. Enjoy the splendour of nature and the snowy mountains. 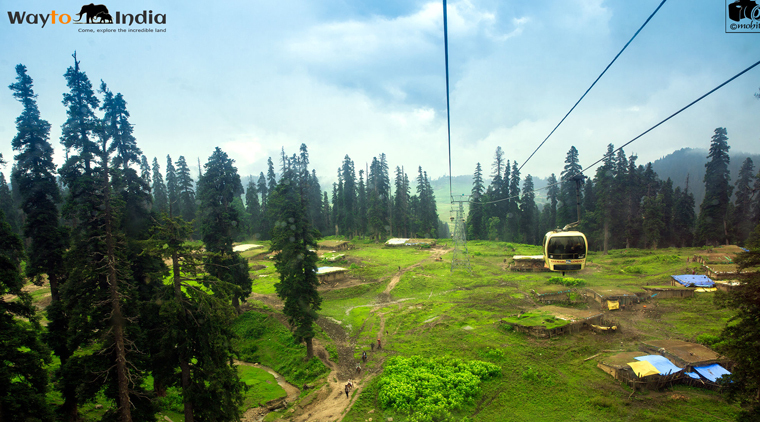 You can have Gondola ride (cable car) from Gulmarg to Khilanmarg. In the evening return back to Houseboat. After breakfast check out from the houseboat and transfers in the time to airport to board the onward flight for onward destination. •	03 Nights accommodation in houseboat on twin sharing basis. Srinagar: The capital of Jammu & Kashmir and an important tourist hub, Srinagar is undoubtedly one of the best places to visit in Kashmir. From unparalleled scenic vistas to modern comforts, from adventure trekking to boating, water skiing to bird watching, Srinagar has it all. Do not miss staying in the boat house at Dal Lake in Srinagar. Gulmarg: It is popularly known as the “Meadow of Flowers.” A sheer treat to the eyes, Gulmarg exhibits a vast spread of colourful flowers against the backdrop of snow-capped mountains. Mountain biking, skiing, trekking and Gondola rides are the best things to do here. Pahalgam: Sublime beauty of lofty mountains and green meadows perfectly blend with serenity and tranquillity at Pahalgam, one of the popular tourist attractions in Kashmir. Nearby excursions to Tulian Lake, Betaab Valley, Chandanwari, Sheshnag and Baisaran are worth reminiscing forever. Anantnag: Truly offering the Best of Kashmir, Anantnag is a paradise in The Heaven on Earth. Besides being a nature lover’s paradise, Anantnag houses the famous Martand Temple which is a must-visit. Sonamarg: Exhibit nature’s breathtaking beauty and serenity at its best at Sonamarg, or the Meadow of Gold. Spectacular views of snow-capped mountains, undulated trekking trails and lush spread of vibrant flowers leave the visitors captivated. Apharwat Peak: Perched at a significant height of 13,500 feet, Apharwat Peak is a place you simply cannot miss on your Kashmir tour. It is located very close to the Line of Control between India and Pakistan. Take a Gondola ride, i.e. a cable car, to discover astounding views of the Himalayas. Dal Lake: It is one of the must-visit places on your Best of Kashmir tour. 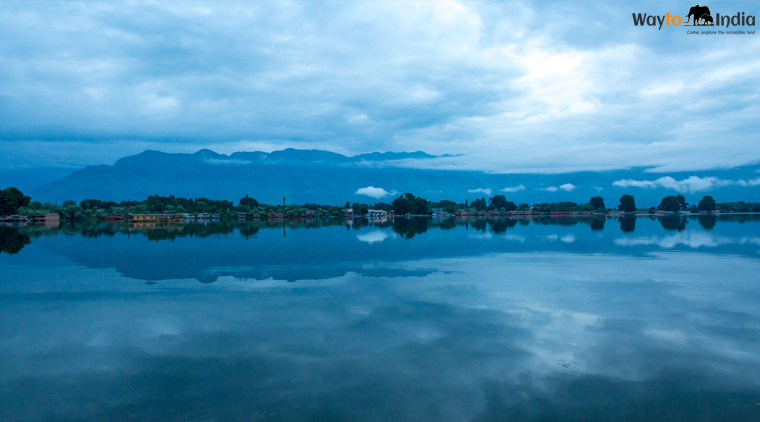 Located in Srinagar, the lake offers spectacular views of surrounding mountains and lush greenery. 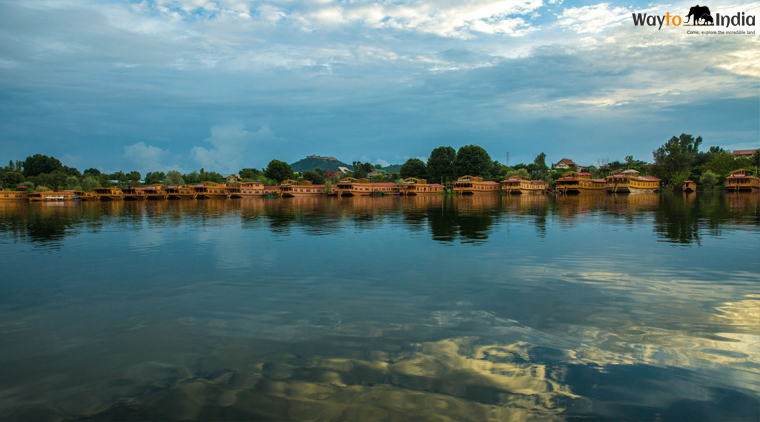 House Boats and Shikara rides are a complete no-miss here as they offer a unique experience to cherish forever. Nagin Valley: It is one of the must-visit places on your Kashmir tour that presents a perfect blend of lofty mountains, alpine lakes and sheer tranquillity that you will fall in love with. Besides offering enthralling sights, Nagin Valley is also ideal for fantastic trekking and camping opportunities through its sublime beauty. Baisaran: One of the best places to visit in Kashmir, Baisaran is also called Mini Switzerland. It is beautifully nestled amidst lush meadows and dense pine forests, overlooking the picturesque Pahalgam. It is an ideal place to relax and unwind. Mughal Garden: The famous Mughal Garden is a sheer display of marvellous Mughal architecture which combines three gardens – Shalimar Gardens, Nishat Bagh and Chashma Shahi. Indira Gandhi Tulip Garden: Tucked at the foothills of Zabarwan Mountains, the garden is one of the top places to visit in Kashmir. Spread over 30 acres, the garden is home to over 1 million tulips of about 70 different species. It is Asia’s biggest tulip garden. Mughal Darbar – This up-class restaurant in Srinagar is one of the best places to try a complete fare of Kashmir’s famous mutton-based cuisine. It is among the top places in Kashmir to relish upon a full Wazwan (Kashmiri feast). The dining room features oriental murals, while a sit-on-carpet room with copper-work serving dishes is dedicated for Wazwan. Price: Mains INR 105-340; Wazwan INR 640 per person. 14th Avenue Cafe & Grill: A good place for quick bites and heavy snacks, this Srinagar-based cafe is fashion conscious, chic and upmarket. Don’t miss the nachos, hummus, thin-crust pizzas, piri-piri chicken and of course, coffee and cakes. Price: Staring from INR 60 – 415. Shamiana: Located next to Heemal Hotel in Srinagar, the restaurant is popular for authentic Kashmiri cuisine, serving local delicacies like pulao, mutton seekh kebabs and Wazwan. Price: Meals INR 500-750. Volga Restaurant – Providing picture-perfect ambience and delicious Kashmiri and North Indian food, Volga is the best option to eat in Pahalgam. Troutbeat: For travellers who love fish, Troutbeat Cafe is the best place to savour brown and rainbow trout dishes, right from the Lidder River. While skiing, paragliding, trekking and camping are some popular things to do in Kashmir, we take you through Offbeat Kashmir, bringing to you the most unique things to do in Kashmir. Dine with a Local: Kashmiris are known for their hospitality. And what’s more intriguing than discovering true Kashmiri lifestyle, culture and food by dining with a local at his or her home. Talk to them, cook with them and live like a Kashmiri! Home Stay at Aru Valley: Away from the limelight of popular tourist attractions, Aru Valley offers an enchanting home stay experience at the mountain top and watch the river flowing by. Surrounded by alpine lakes, snow-capped peaks and meadows, it is the ultimate place to unwind and rejuvenate. Photography at Sinthan Top: Perched at a height of 3800 metres above sea level, Sinthan Top offers astounding views of snow-capped mountains, lush valleys and more. The famous “360 degree view” is a photographer’s paradise, where you can actually have a panoramic view of the entire Jammu and Kashmir. Visit Chatpal: In its true sense, Chatpal is an offbeat location that is worth visiting on your Best of Kashmir tour. Visit the place during sunset when the beauty of Chatpal reaches its zenith, exhibiting orange mountain peaks touching the sky. It is really a spectacle to behold forever. Lal Chowk: Located in Srinagar, it is one of the most popular shopping destinations in Kashmir. The streets are bustling with numerous shops and vendors, selling a wide range of products like the famous Pashmina shawls and stoles, jewellery boxes, trinkets, carvings made of walnut wood and exotic Kashmiri paintings. Badshah Chowk: A famous marketplace in Srinagar, Badshah Chowk is popular for its pashminas, Kashmiri embroidered clothes, shawls, Ferin and carpets with intricate designs and patterns. Residency Road: Located near Lal Chowk, Srinagar’s Residency Road is an ideal place to buy authentic Kashmiri handicrafts, ethic dongra jewellery and dry fruits. You would get absolutely fresh dry fruits here and will be literally spoiled for choices. Choose from a variety of Figs, Apricots, Raisins, Dates and a wide range of walnuts like Kagzi walnuts, burzil walnuts and wont walnuts. The place is also famous for aromatic spices like cardamom, shahi jeera, honey and pepper.